Huawei Honor 8 Pro, also Known as Huawei Honor V9, is an upgrade to its predecessor: the Huawei Honor 8 smartphone. It is equipped with top specs for better performance and a beautiful design that will keep the smartphone ahead of the pack. 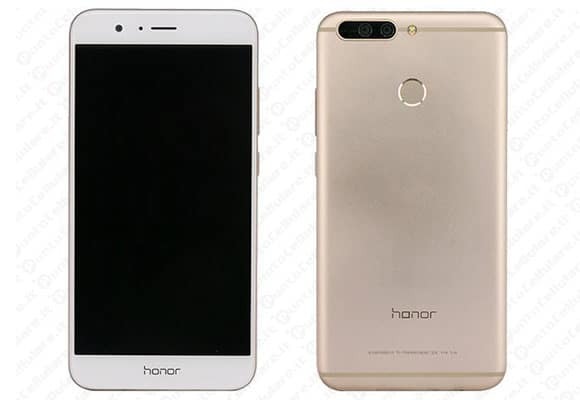 The Honor 8 Pro, is expected to sport a 5.7-inch QHD display (2560 x 1440). The device will be powered by an octa-core processor clocked at 2.4GHz. This is the Huawei’s Octa-core HiSilicon Kirin 950 processor that is coupled with a Mali-T880 MP4 GPU. On the camera front, we’re expecting to see a 12MP rear camera placed alongside a secondary 12MP camera. Huawei’s earlier dual-camera phones, designed in partnership with Leica, placed a color sensor alongside a dedicated black and white one to enhance image quality. The front unit is expected to be an 8MP strong alongside a front-facing LED flashlight. The Honor 8 Pro exudes minimalist sophistication. The sleek, ultra-thin 6.97mm metal body is a perfect blend of functionality and aesthetics, built with loving attention to the finest details. The device should retail at $200 (N105,000/Ksh 20,500) and $180 (N96,000/Ksh 18,000) for 128GB and 64GB respectively; these are the estimated sales price when available on Jumia Nigeria & Kenya.